The high-quality sensodroid T2000QR reader uses state-of-the-art CMOS technology to help with highly precise code detection. 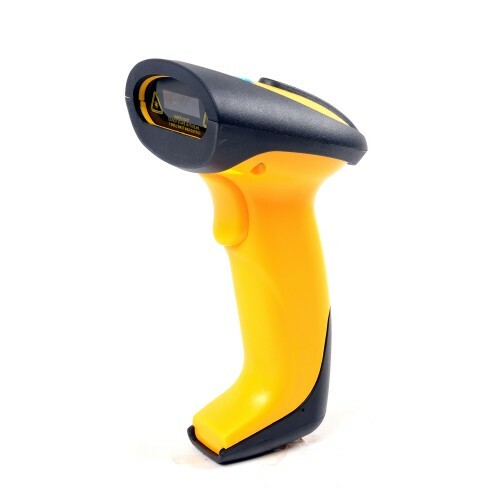 Thanks to this technology, the reader is designed to reliably detect many types of barcodes, including all 1D codes (eg EAN, UPC-A or MSI Plessey), 2D codes (eg QR or Data Matrix) and PDF417 codes. All of these codes can also be decoded directly from your computer or phone screen. Thanks to this versatile capability, the T2000QR reader is suitable for a variety of industries such as logistics, health, light and heavy industries, the automotive industry, advertising, etc. The unique design of the reader guarantees safe and easy handling in any work environment. The QR Code Reader also has technology to help detect damaged or badly readable barcodes. Thanks to this feature, code administration is faster and easier. Compatible with Mac, iOS, Android, Windows and more.